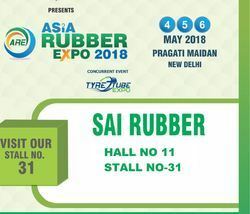 We Sai Rubber are a Sole Proprietorship firm that is engaged in manufacturing an exclusive range of Rubber Beading, Rubber Profiles, Rubber Seals, Rubber Pads etc. Under the headship of our mentor Mr. Anil Gupta, we have gained a remarkable position in this industry. When we started our business in 1999, we have constructed a large and well functional infrastructural unit that is situated at Faridabad (Haryana, India) and play the most vital role in the development of our firm. To achieve total customer satisfaction, we follow our business philosophy of catering our valued customers with premium quality products like Automotive Rubber Parts, Automotive Rubber Components, etc. Offering them at the best prices and on time every time, we have been able to win the trust of a large number of clients spread across the world. Established by our mentor, Mr. Anil Gupta, we have been able to gain the trust of our valuable clients in the most efficient manner. It is due to his excellent management skills that we have been able to cater to a remarkable position. We have a capacious and ultramodern infrastructural unit that helps us to manufacture a wide range of rubber products as per the latest trends prevailing in the market. This unit sprawls over a huge area of land and enable our team members to finish the large consignments of the patrons in a predefined time period. In addition to this, we have segregated this unit into sub-departments that include admin, sales, designing, transportation, logistic, warehousing, packaging, marketing, etc. 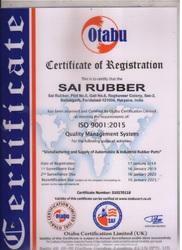 With the support of our devoted and capable team members, we are engaged in providing our prestigious patrons with a qualitative range of rubber products which we provide in varied specifications.